Park Place of Northville is conveniently located in Northville, MI. Our location is just minutes from everywhere you want to be such as Laurel Park Place, AMC Livonia 20, and Parmenter's Northville Cider Mill, coupled with easy access to Main Street and Northville Road! Our close proximity to Northville Village Center Shopping Center, and Meadowbrook Country Club make us one of the top locations in Northville! 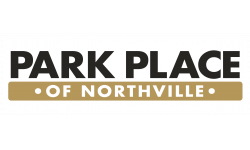 Contact us today to schedule a tour of our apartments near Novi, MI and see all the reasons why you will want to make Park Place of Northville your new home! We are extremely pet friendly, however, Dogs are only allowed in Buildings 1 through 10! Also, we even have "While Away" pet care! Pet rent is $30 per pet.